Sterling silver, real Mother of Pearl and Black Inlay. 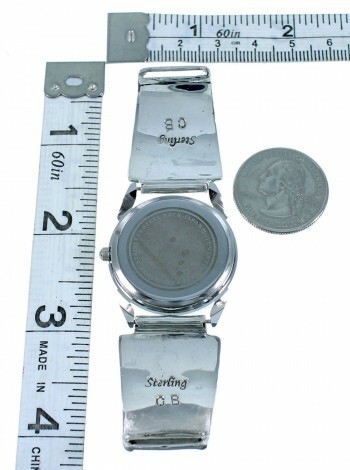 Watch tips measure approximately 1-1/4" long and 7/8" at widest point. 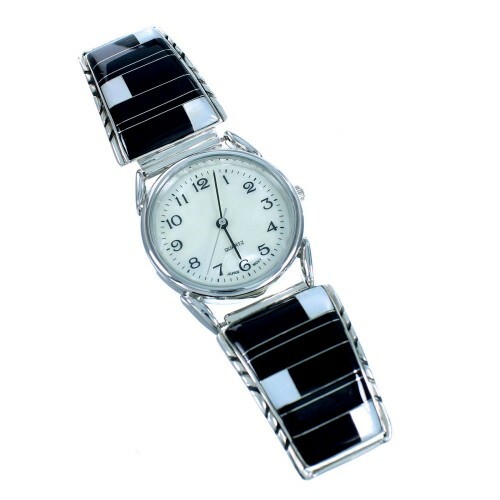 The watch will fit a wrist that is approximately 7-1/8", if you would like, the band can be adjusted to fit a wrist that is from size 5" to size 9" at no additional cost to you, this will guarantee that the watch will fit your wrist comfortably (YOU MUST NOTIFY US OF DESIRED CHANGE TO WRIST SIZE OR YOU WILL RECEIVE THE WATCH AT THE SIZE MENTIONED ABOVE!). 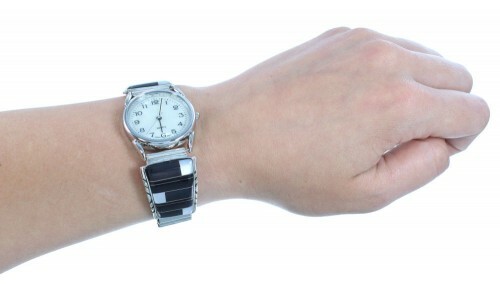 We provide you with a complementary watch face and stretch band. We are one of the few if not the only business on the Internet that offers to size the watch at no additional cost to you. Don't miss out on this beautiful watch! 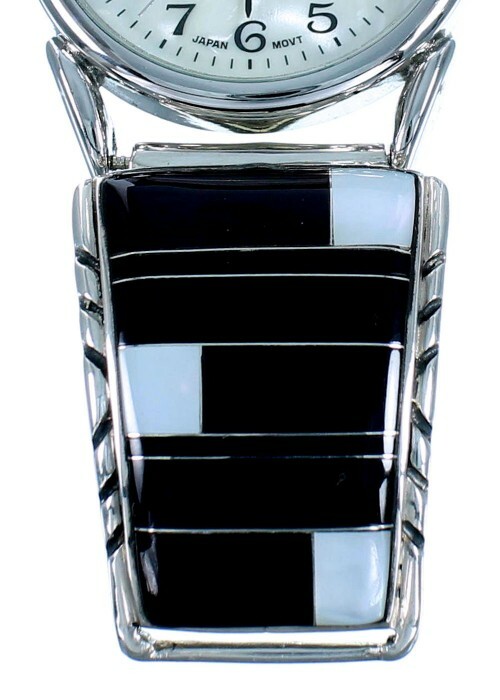 The watch tips are hand made out of genuine sterling silver, along with real Mother of Pearl and Black inlay. The inlay is carefully set while marvelous imprinted patterns can be seen accenting the tips for a fantastic finish. 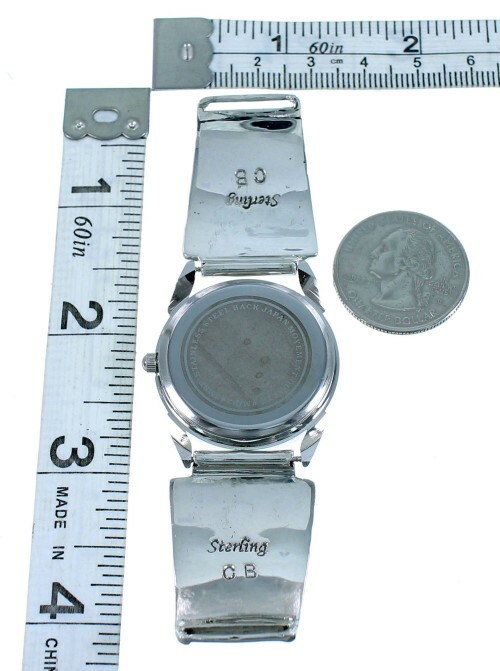 Watch tips are stamped sterling and hallmarked.